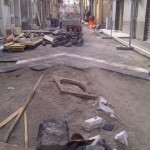 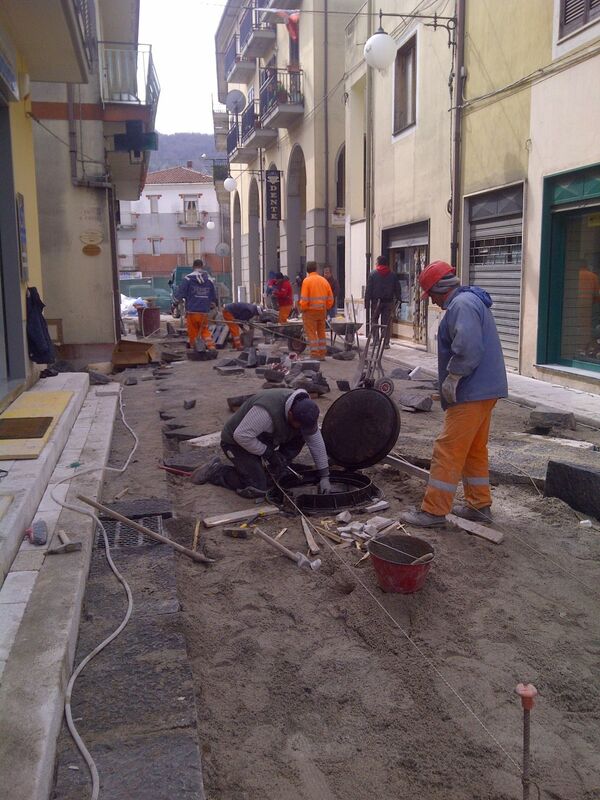 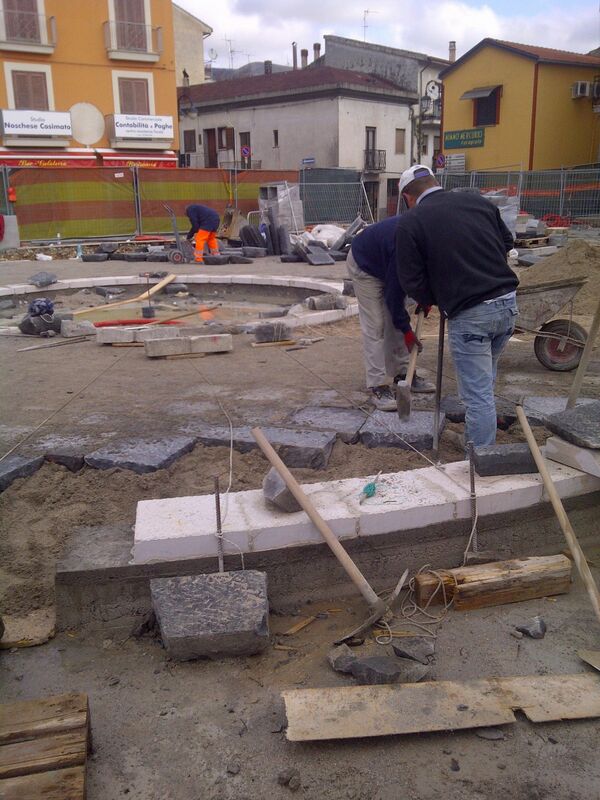 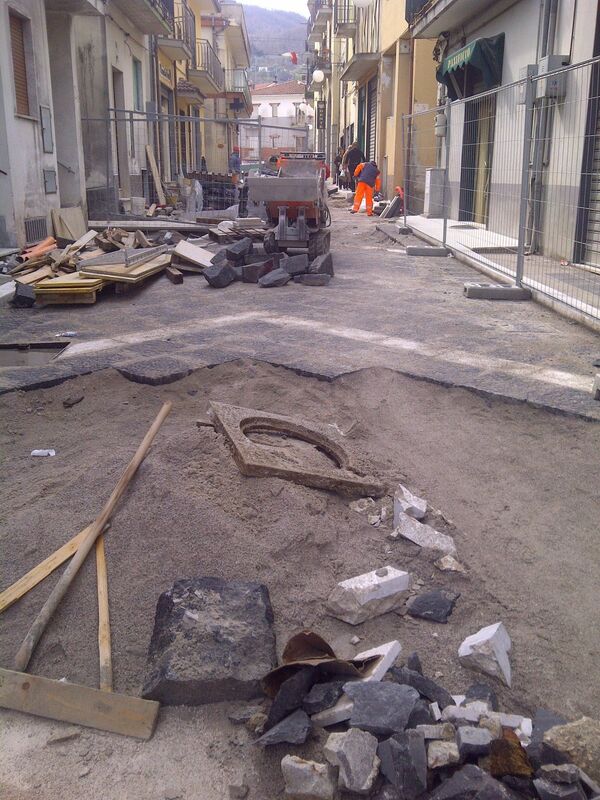 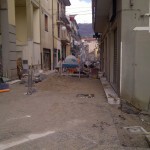 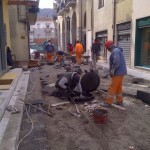 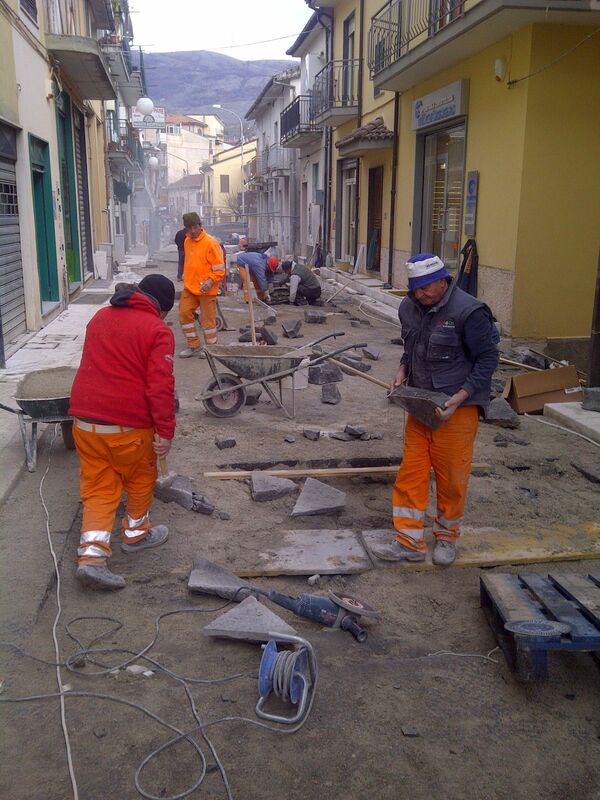 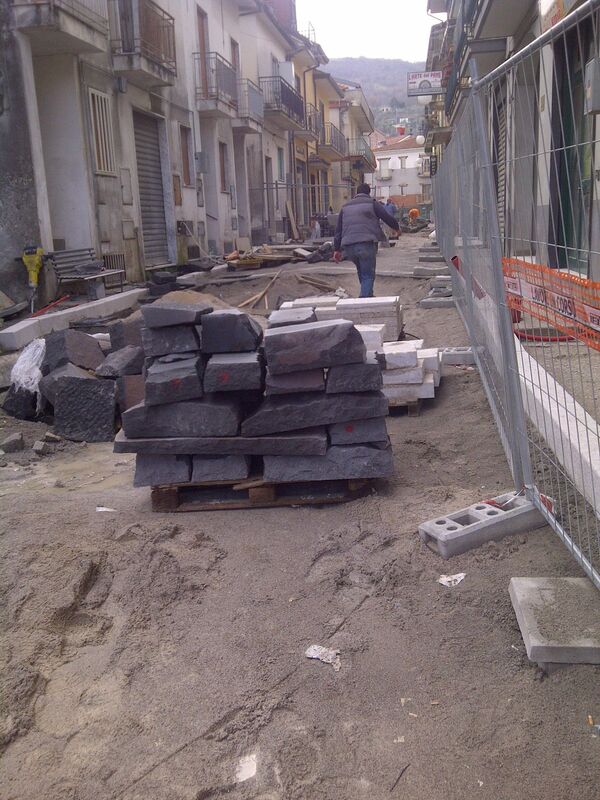 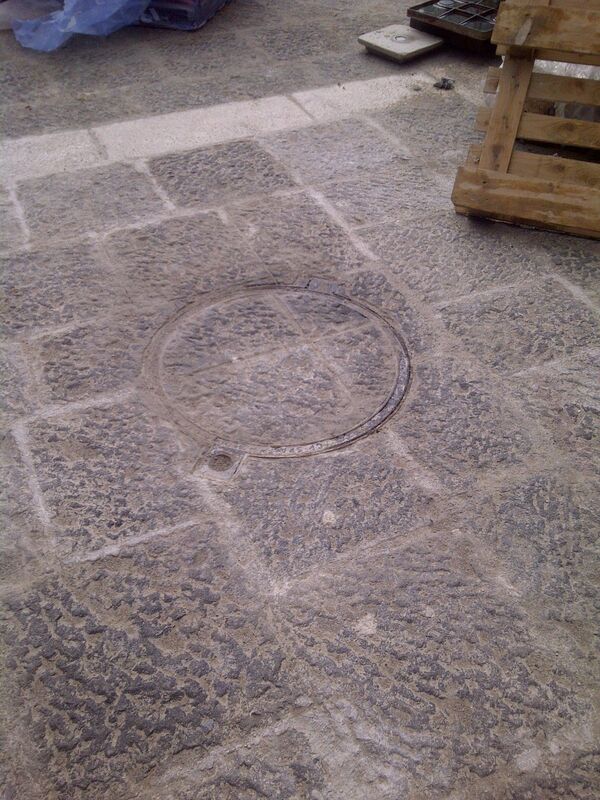 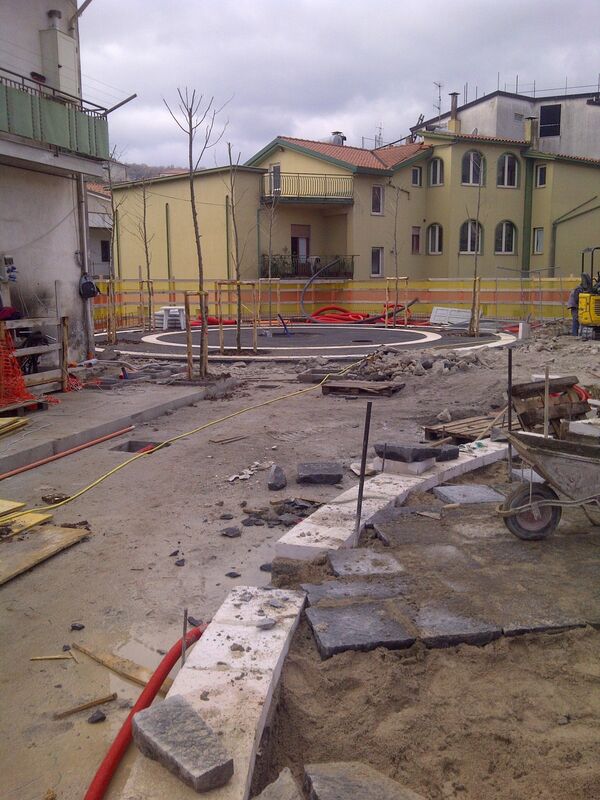 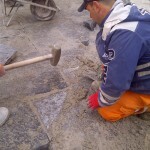 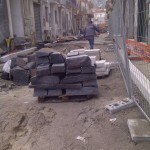 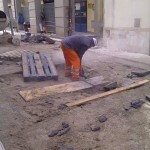 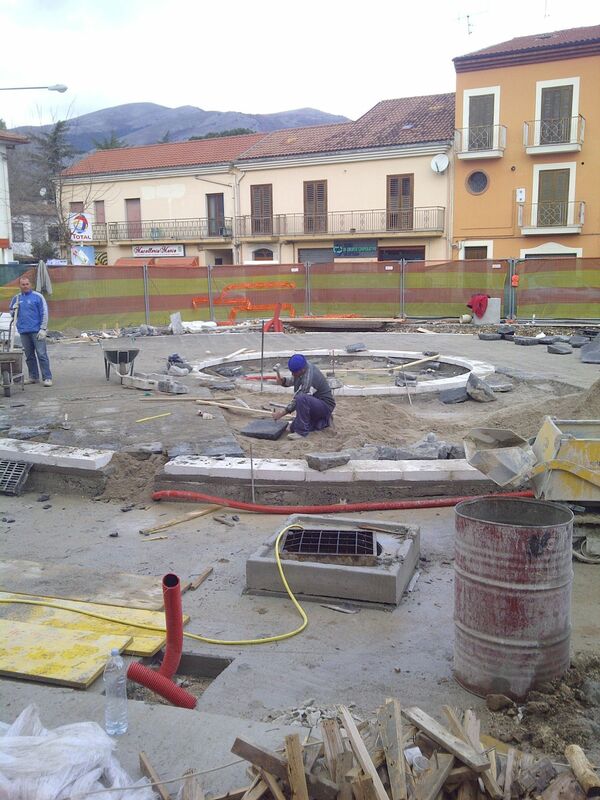 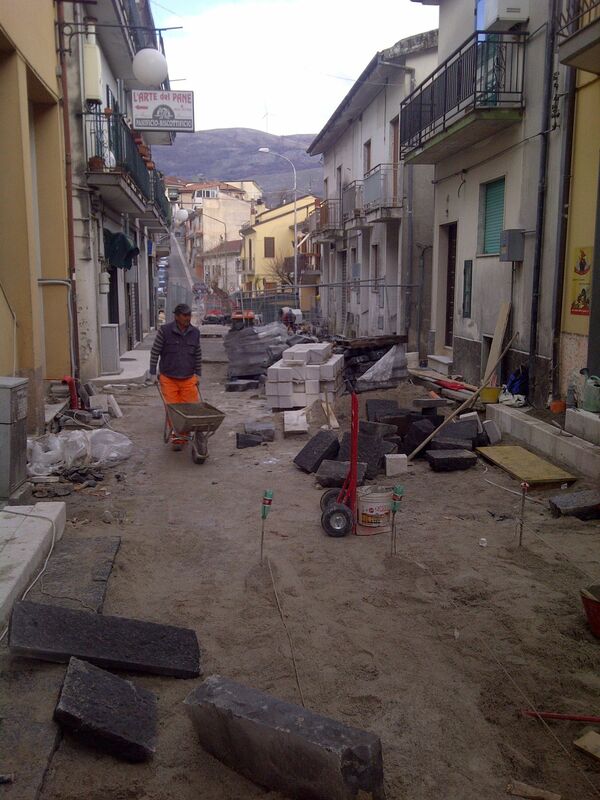 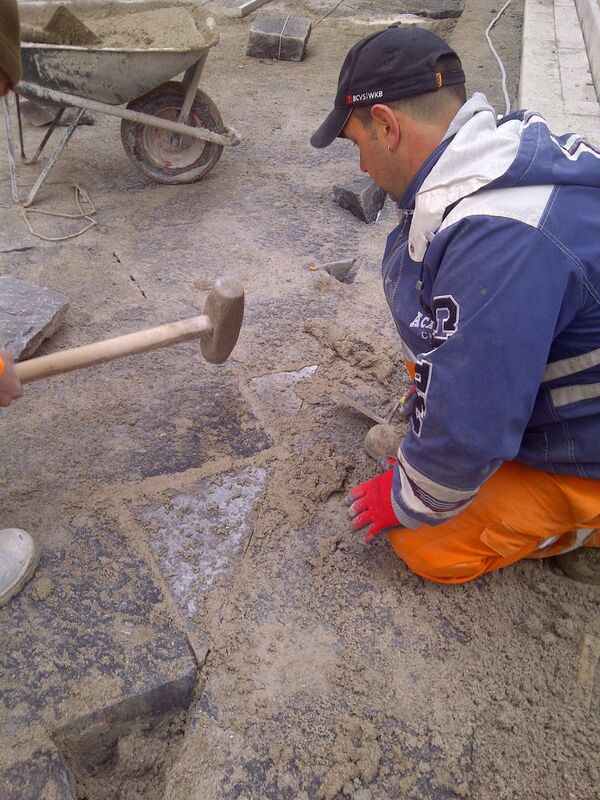 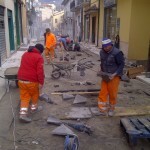 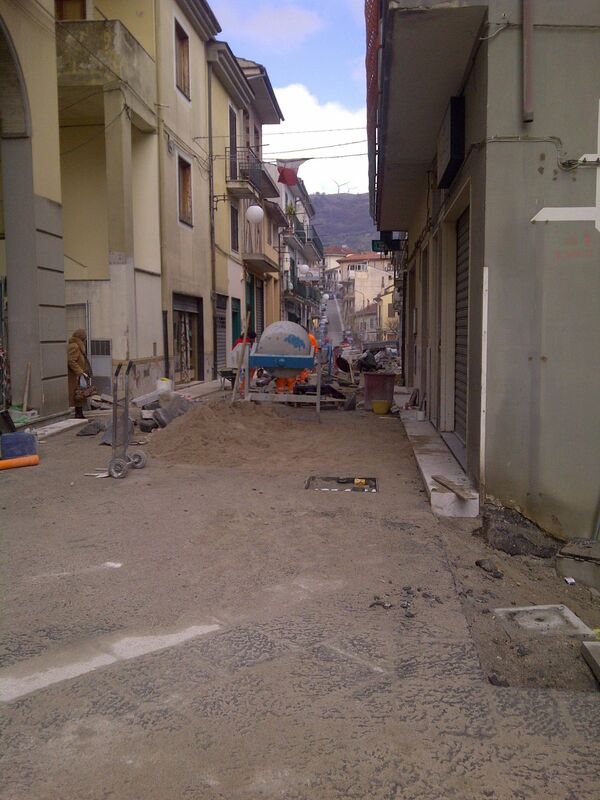 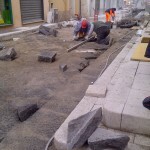 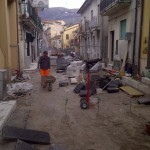 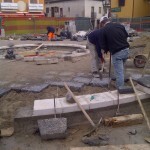 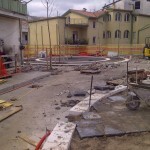 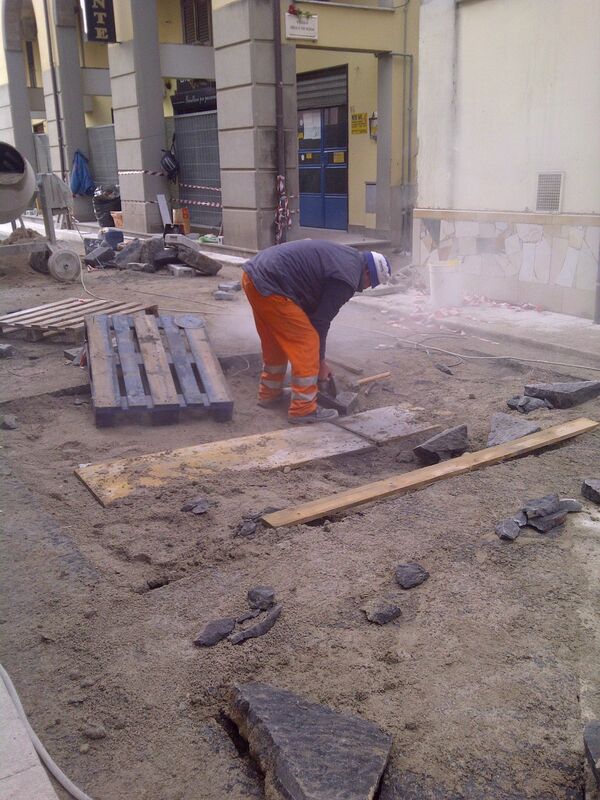 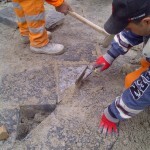 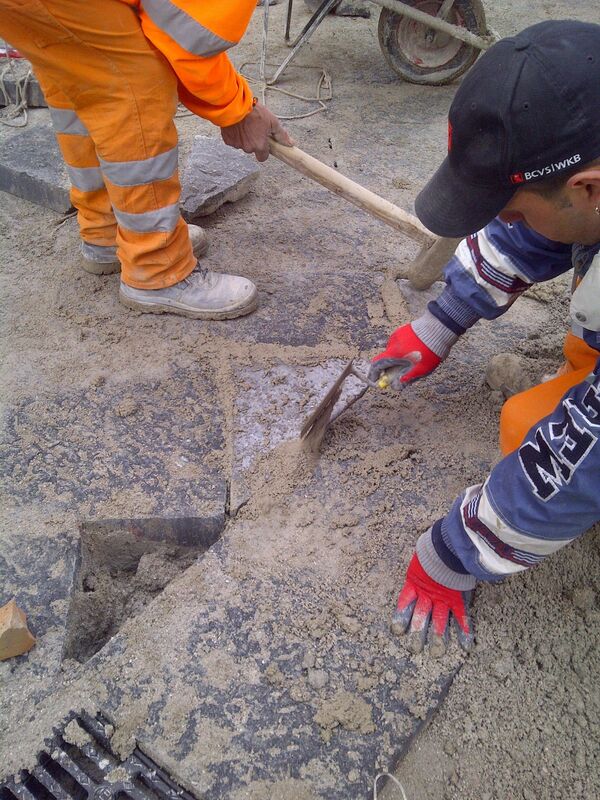 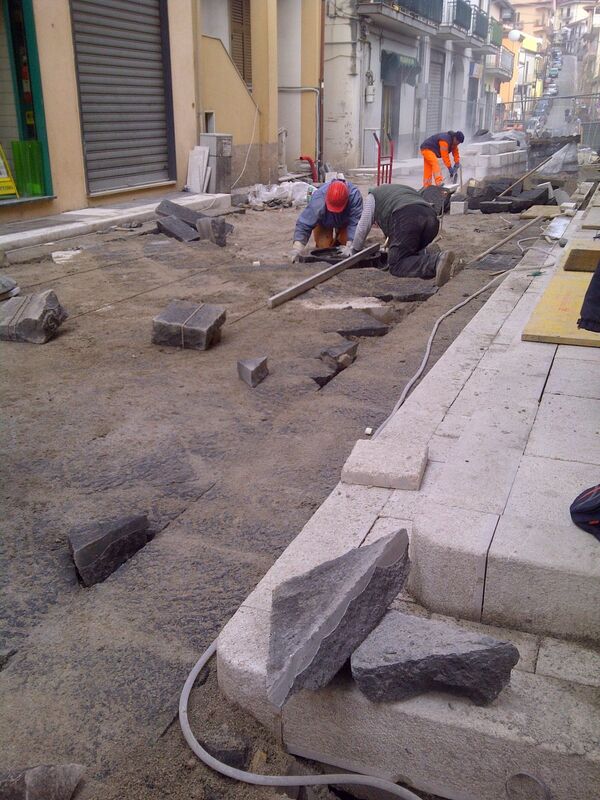 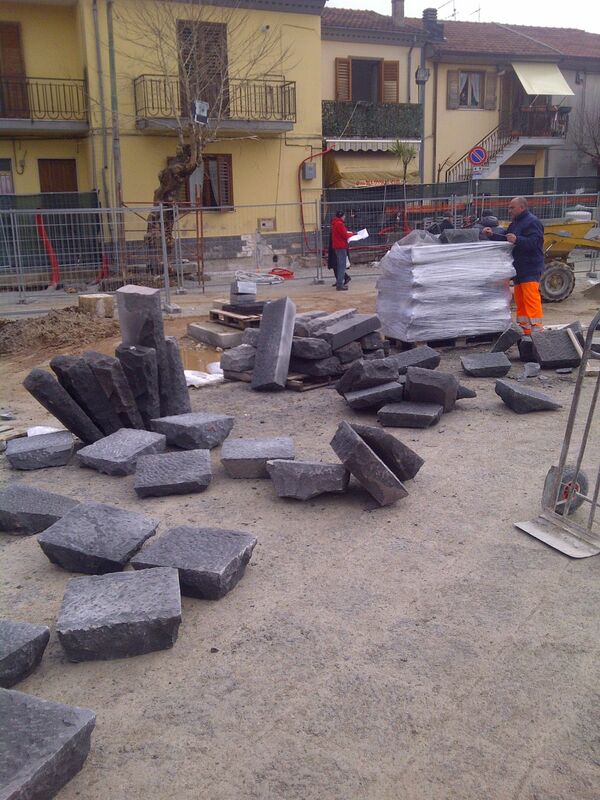 Paving in ‘basole’ of Etna’s Lava stone (lava flagstone) sheared off and hand-worked with medium chisel; thickness cm. 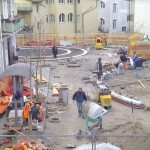 10/20; dimensions: cm. 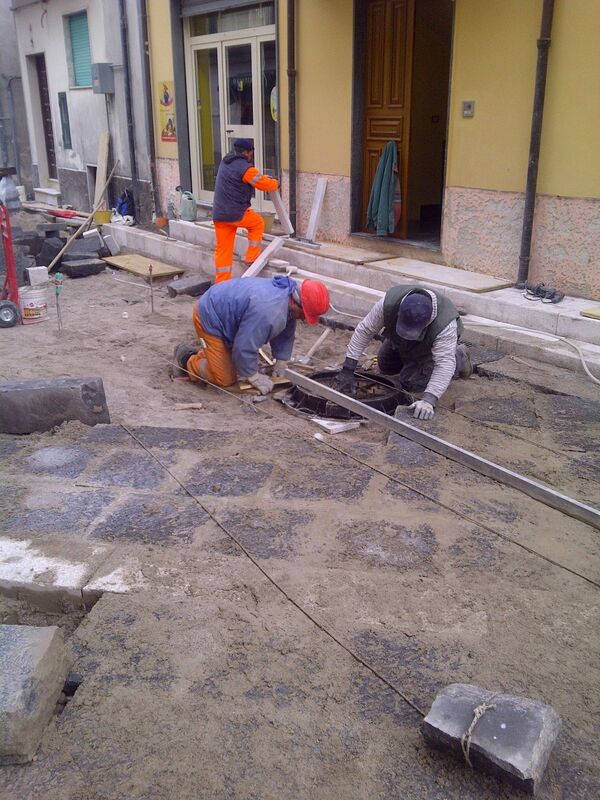 30/40 x variable length. 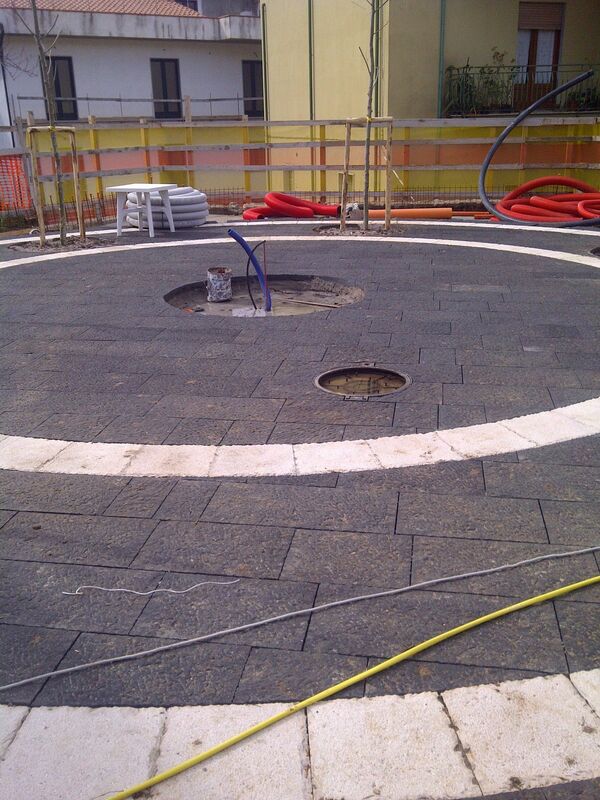 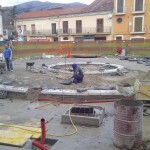 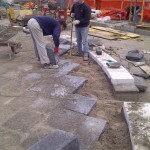 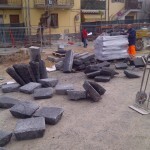 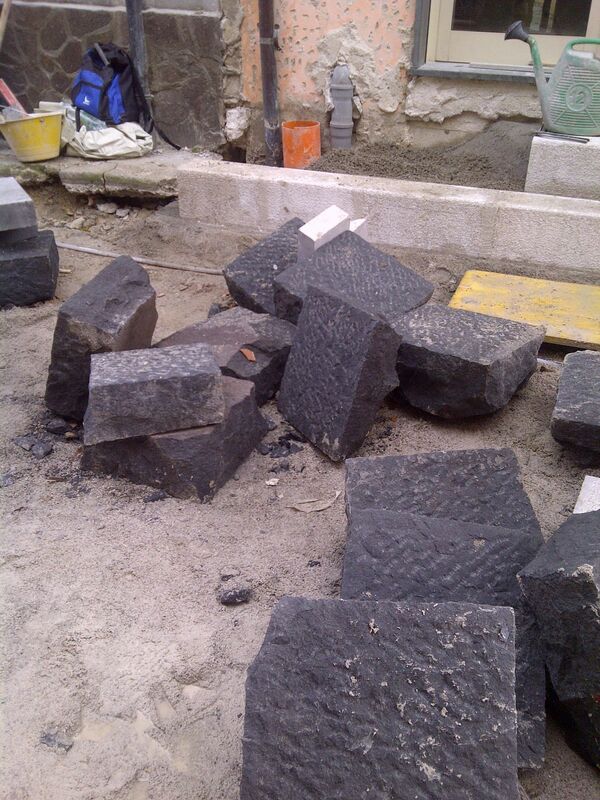 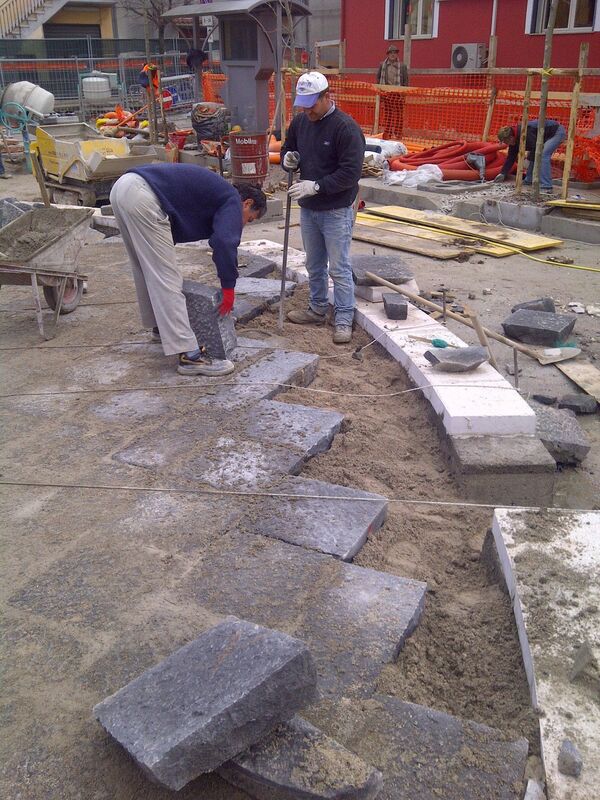 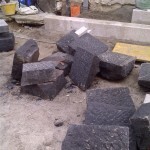 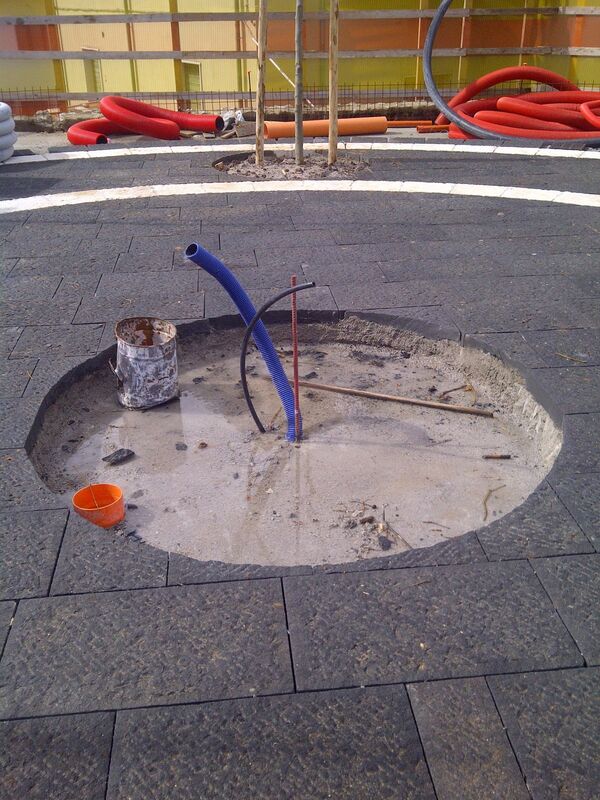 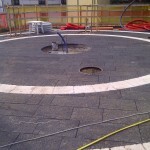 Square paving in Etna’s lava stone sawed and hand-worked with medium chisel with cut edges; thickness cm. 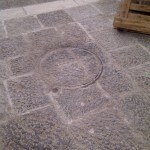 6; dimensions: width costant of cm. 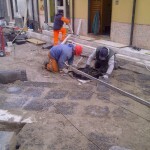 40 x variable length. 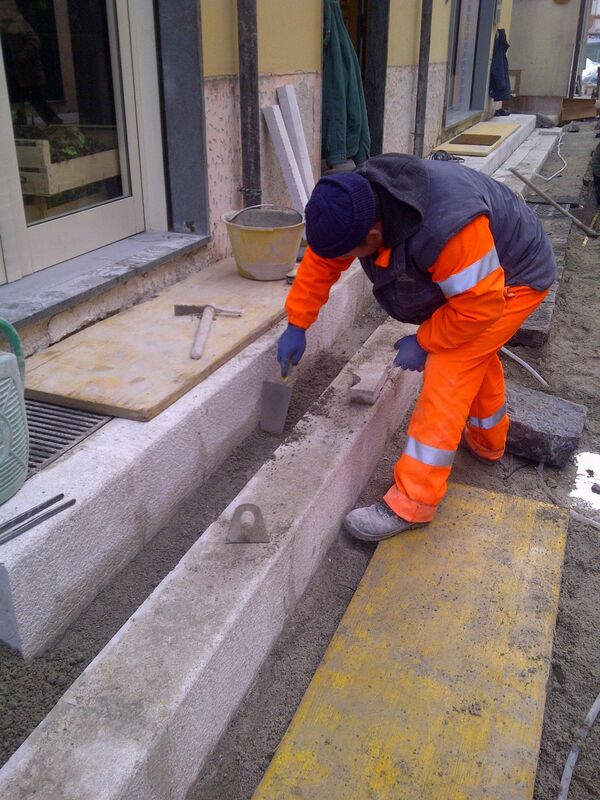 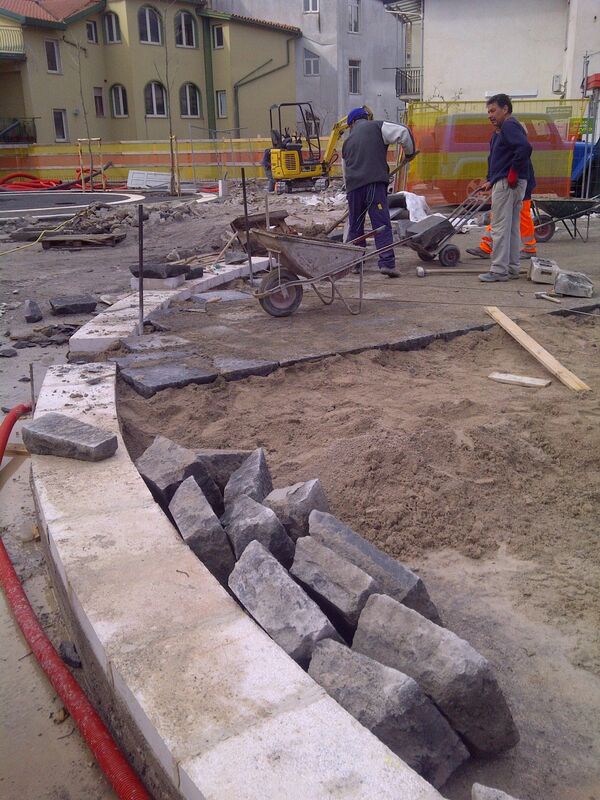 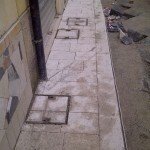 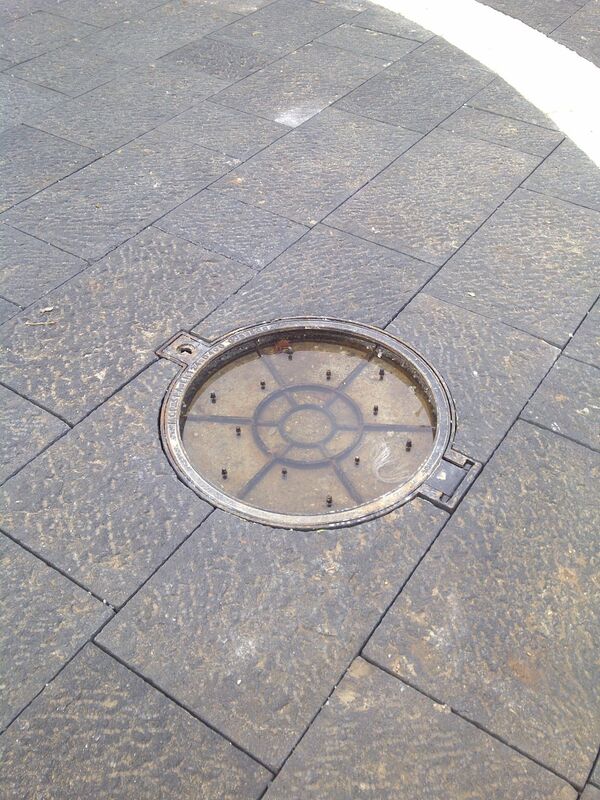 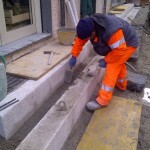 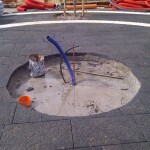 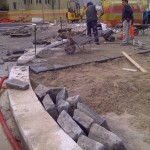 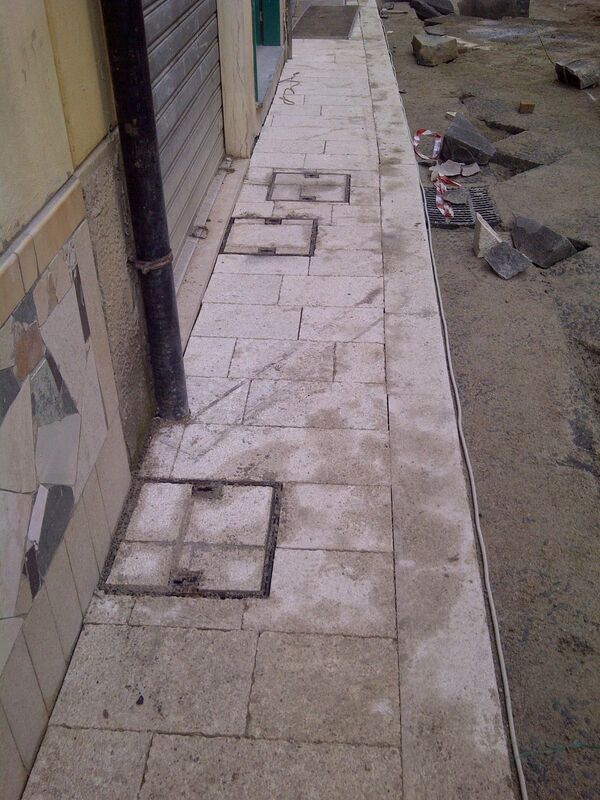 Kerbs in extra-hammered marble on the visible surface and on the base; section: cm. 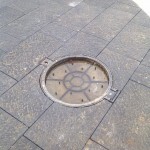 25×15, variable length. 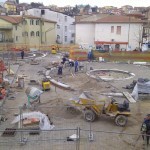 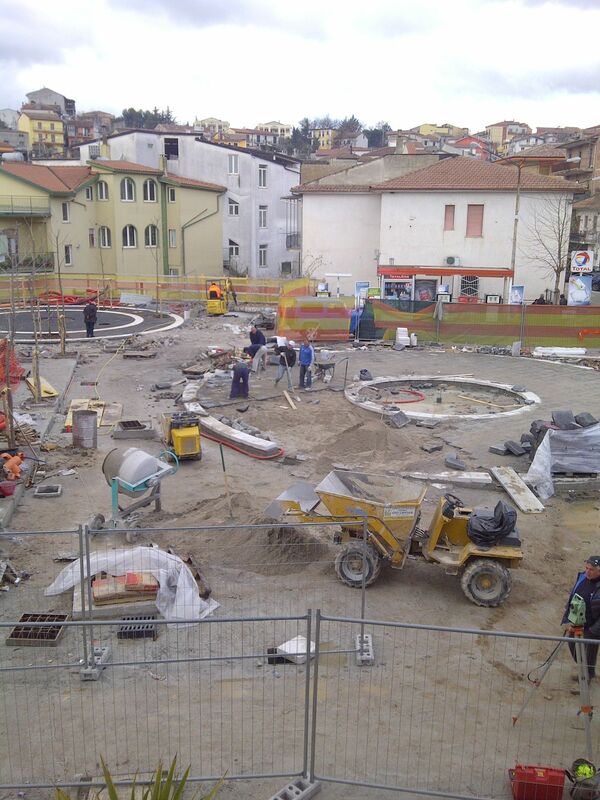 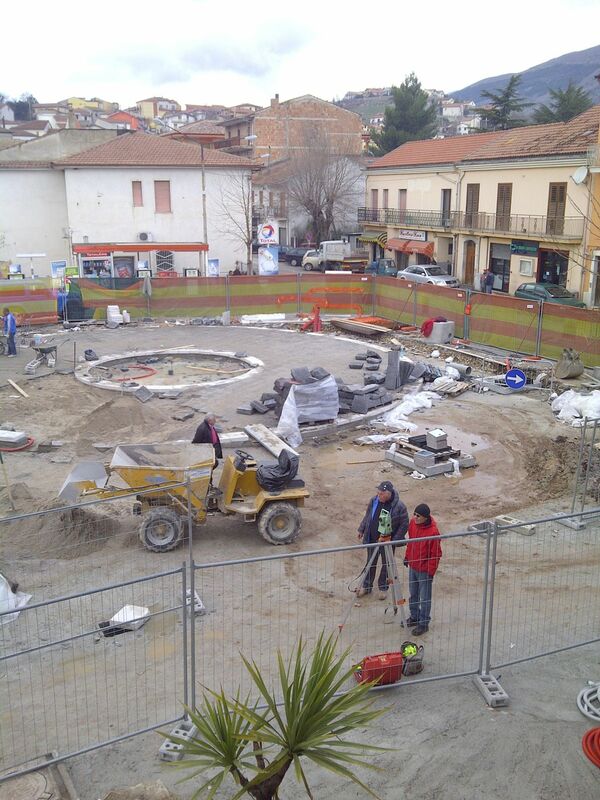 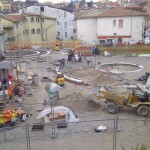 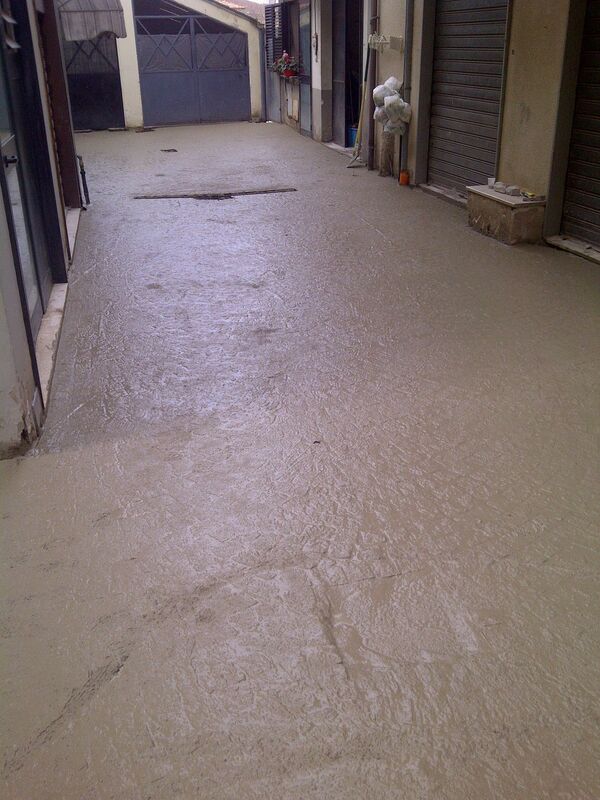 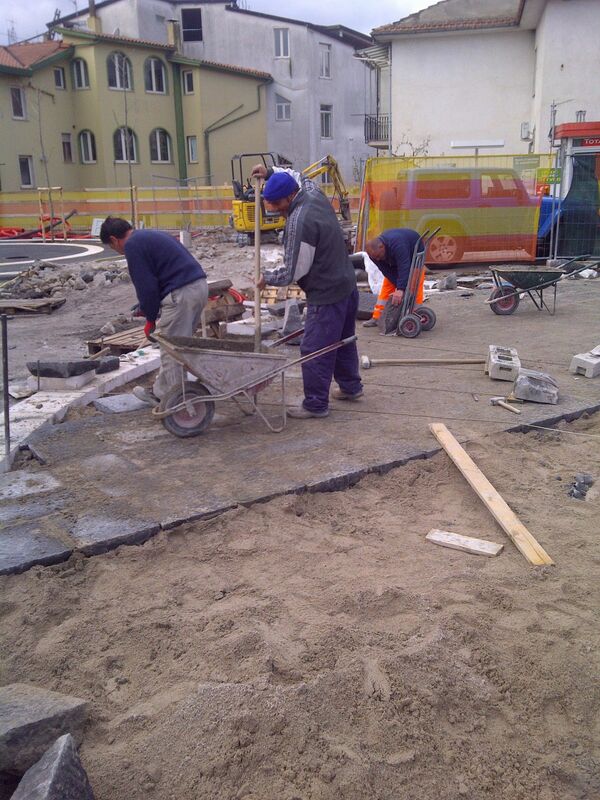 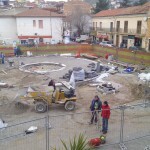 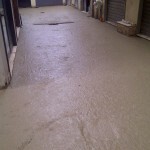 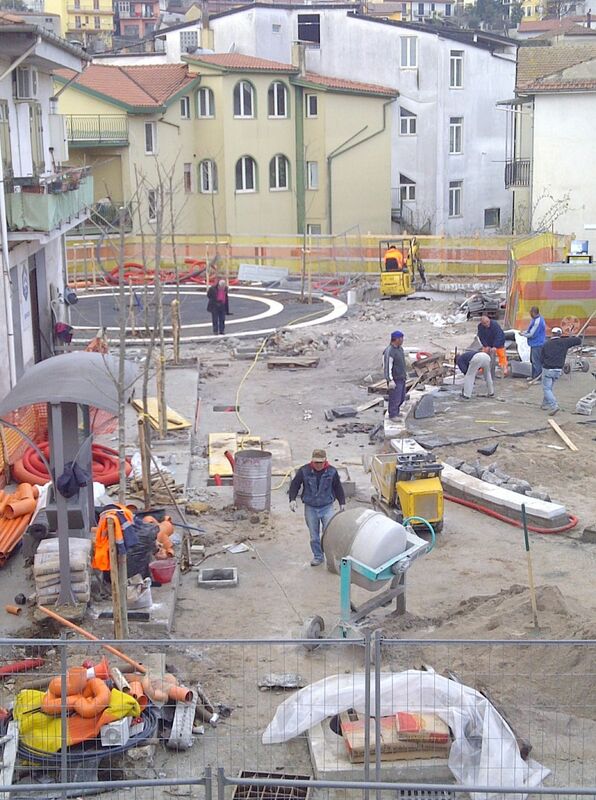 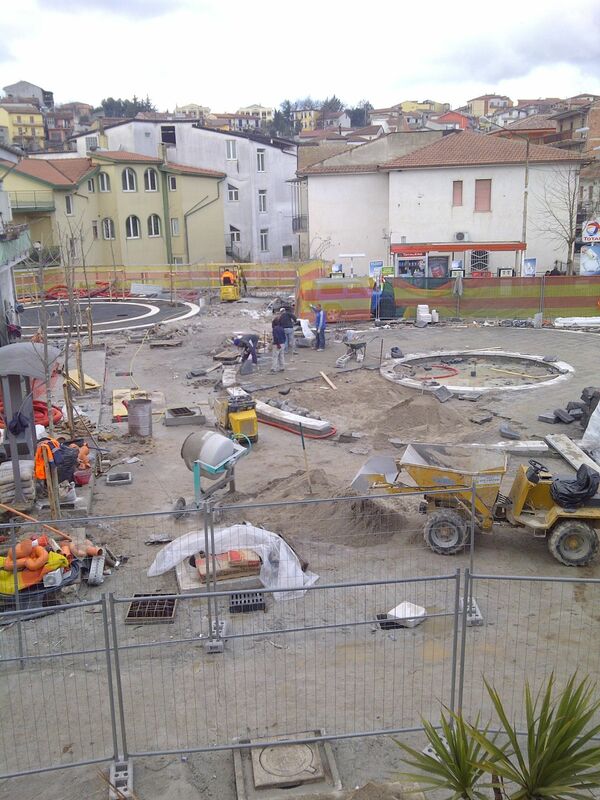 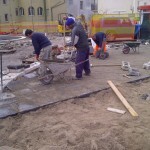 Covered area: 3000 square meters.